You have to give it to the toy designers for creating merchandise that appeals to the young and old. Children enjoys playing with them while adults buy them for collection. As a casual collector of Transformers, I appreciate how toy designs have evolved over the decades. Just compare the vintage G1 (first generation) toy line with the latest and you see how gorgeous the new Transformers look in both robot and alternate forms. Today while casually shopping at Toys ‘R’ Us, wifey chanced upon some Monsters University toy merchandise among the Disney Cars racks, obviously out of place. It instantly appealed to me for its cuteness and playability. I have a weakness for anything transformable, and this little innovative toy supposedly recesses into a ball mode and somehow springs into the monster mode. We bought it without knowing how it really works, but loved the idea. As I unboxed the toys, I realised the ingenuity. The product comes with an “ID card” embedded with a metal plate. 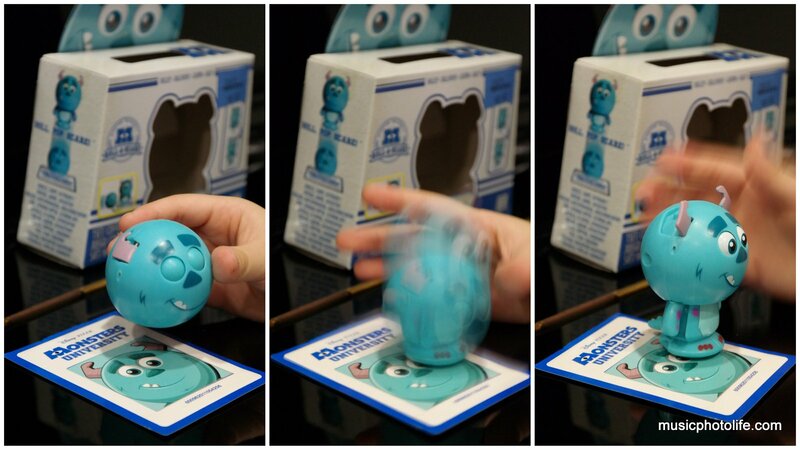 When the toy comes into contact, the magnet inside the toy unlocks and out springs the body. SCARE!!! Cute as it appears, I doubt the toys can survive the drop test. I highly recommend you attempt to do the roll-and-pop action on the floor. We had a few close shaves when the toys nearly fell off the table. 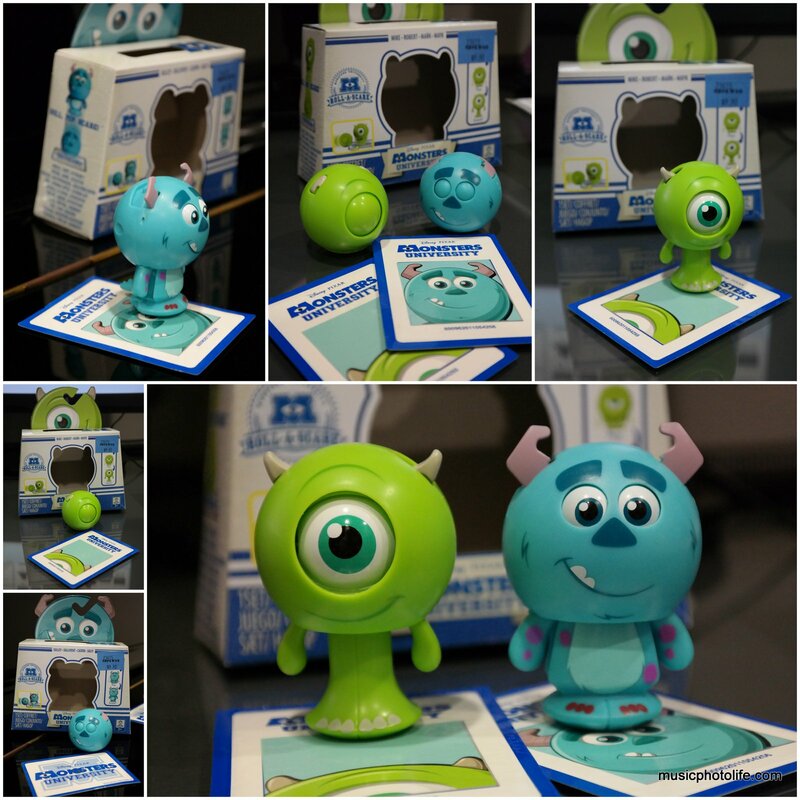 There are 8 to collect but we were only interested in the 2 main characters, Mike and Sulley.